We at JTEKT have defined the JTEKT Group Vision as our ideal state. The JTEKT WAY is our common set of values in order to exemplify our Corporate Philosphy. Corporate Philosophy: Seek to contribute to the happiness of people and the abundance of society through product manufacturing that wins the trust of society. 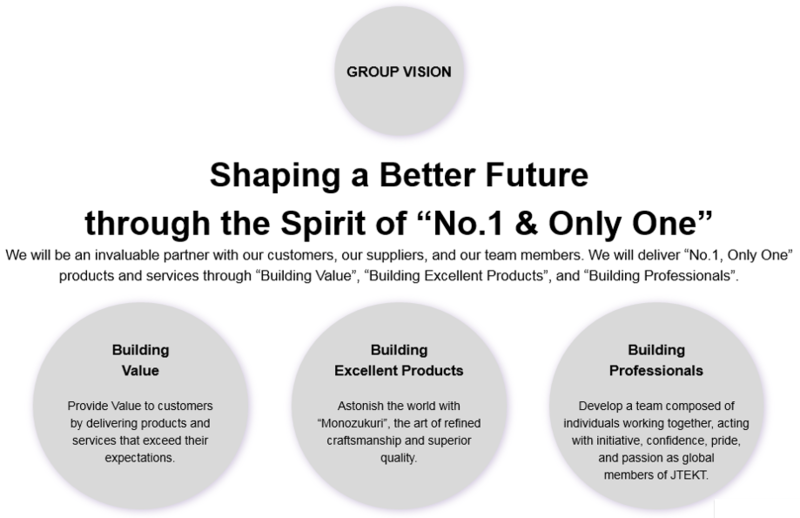 JTEKT Group Vision: Shaping a better future.